Bravo to all of the 19 young people from Youth Ministry and Religious Education who volunteered the Saturday before Thanksgiving at the Community Food Bank. The youth helped clients shop for food and load their cars. In the five hours they served, the youth learned about food distribution from federal, state and local donations and the importance of poverty awareness. All were eager to help and learn more about the needs in their own local community. Well done! All youth 7th grade and up are invited to our Christmas Party scheduled for Sunday, December 17th from 6:30 to 8 p.m. in the ARCS cafeteria and gym. Bring your appetite for goodies and fun and don’t forget to bring your friends along as well! All youth are welcome! Let the reindeer games begin! Registration is open for your child’s spot and books for Vacation Bible School 2017– a great place for faith and friends! E-mail Stacey King at srhssbense@gmail.com as soon as possible to reserve your child’s spot before May 1st! Include the name/s of the child, current grade, and a parent’s name and phone number. VBS will run from 1:00-4:00 pm, July 31st – August 4th. Detailed information and registration will be e-mailed out on May 1st. We’re looking forward to a week of faith-filled fun! Hope to see you there! View the flyer or find out more online. The Church is listening. She wants to hear from you! This survey is designed to gather information about youth and young adults in the Diocese of Camden. Please take about 12 minutes to complete this survey. 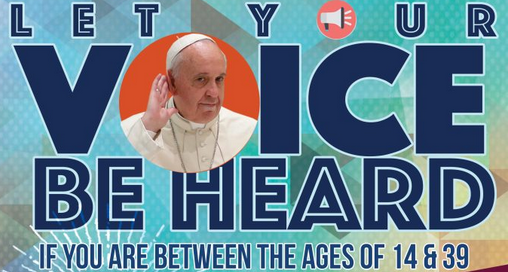 Our aim is to use this information to answer questions of the Preparatory Document for the Synod of Bishops on Youth, the Faith and Vocational Discernment and to better serve youth and young adults in our diocese. Your input and the data will be shared with parishes so that they can better respond to the reality of today’s youth and young adults. We are grateful for the gift of our church and the blessings of its parishes, schools and ministries. Please watch over us as we embark on this campaign, CATHOLIC STRONG, which will fortify these gifts for the benefit of the entire community of South Jersey. Let this be an opportunity to celebrate our tradition of church teaching by going outward, strengthening our future and becoming Missionary Disciples of your Son, Jesus Christ, to the people of Atlantic, Camden, Cape May, Cumberland, Gloucester and Salem Counties. We pray that you watch over us and guide us as we invigorate our parishes and leadership, raise our public image, embrace our diversity, and continue to serve Your mission on Earth. Father, bless our campaign and send forth your Holy Spirit so that we will be for years to come CATHOLIC STRONG. The Catholic Community of South Jersey has evolved tremendously over the course of its 80-year existence. Now, the time has come for this generation of Catholics to contribute to the great history of our diocese. We must invest in evangelization programs, lay faith formation, and professional development for parish staff and ministers. 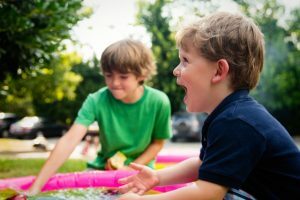 As vital and active members of the Diocese of Camden wishing to make our contribution, we are beginning the Catholic Strong Campaign to provide the resources needed to ensure our parishes are financially stable, strengthen Catholic education, expand our outreach capabilities, and enhance our evangelization efforts. A successful campaign will ensure the vitality of our faith communities and ultimately meet the evolving needs of our Diocese. Every parish will share in these efforts with an allocated goal. Our parish target is to raise a minimum of $1,245,000, of which we will receive 70% of the collected amount (or a minimum of $871,500) that will go toward parish needs. Additionally, we will receive 80% of all funds collected over our parish target. We will also include our 2018 House of Charity target ($144,446) in the overall total. Therefore, our total parish target is $1,389,446. What is the Catholic Strong Campaign? 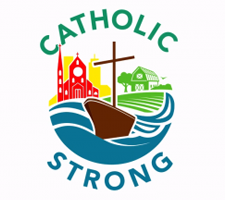 Catholic Strong, the Campaign for the Catholic Community of South Jersey, is an effort to raise a minimum of $50 million in gifts and pledges. Seventy percent (70%) of all dollars collected up to the parish’s goal will be used to support the needs defined by each parish. Every parish in the Diocese has been assigned a financial target to reach in order to meet both the needs of the parish and specific needs of the Diocese, which will be funded with the remaining 30% raised. The needs being addressed through the campaign of both the Diocese and the parish are extraordinary needs beyond those supported on an annual basis by parish offertory or the House of Charity. Why do we need a major fundraising campaign? At the time of the mergers and consolidations of parishes in the Diocese, it was believed that the majority of our parishes, because of efficiencies of right-Sizing and the sale of property, would become operationally stable and prepared to meet ongoing physical plant and maintenance needs. Unfortunately, as a result of the “great recession” of 2008, many parishes in the Diocese of Camden have been struggling financially Most are able to meet their day-to-day operational expenses, but few are ready to deal with major physical plant needs. Understanding the challenges that our parishes face, 70% of all funds collected up to the parish goal will go directly to the parish to meet their own unique needs. Thirty percent (30%) of the funds raised up to the parish’s goal will be directed to meet specific needs of the Diocese of Camden that cannot be met by the House of Charity. The Diocese operates with funds provided by the House of Charity -Bishop’s Annual Appeal, the assessment revenue provided by parishes, and the income from sources such as investments, rental income and service fees. These operational funds come in and go out every year from the House of Charity to meet the day-to-day operations. There is no surplus. be addressed at the diocesan level. These include increasing the effectiveness of our faith formation and evangelization ministries by matching them to those provided in our individual parishes, coordination of the delivery of social service and social Justice services to better serve our parishes, and providing resources identified as essential by the Catholic Schools Commission for building up our Catholic schools These are needs that go beyond the ability of the House of Charity. Who will be asked to support the Catholic Strong Campaign? Each parish family in the Diocese of Camden will be asked to consider making a gift to the campaign. This campaign is conducted in a phased approach so that each member IS reached in the appropriate time and manner. While not all members will be able to give at the same level, each will be asked to make a sacrificial commitment. What is the time frame of the campaign? The campaign began with eight pilot parishes that launched their efforts in August of 2017. The remaining parishes will conduct their campaigns in one of two six-month blocks beginning in January 2018.
Who is conducting the campaign? will the House of Charity continue? Yes. The House of Charity IS vital to continue funding the to-day work of the ministries of the Diocese. How is this campaign different from the House of Charity? This campaign is a response to extraordinary needs, while the House of Charity helps to fund the ongoing operating expenses of the Diocese. How will the campaign affect parish offertory collection? Parishes rely on their offertories. Throughout the campaign, pastors will ask parishioners to make commitments above and beyond regular giving. Parishioners are asked not to diminish giving to the offertory or the House of Charity collection, but rather to consider an increased commitment to the Church. Parishioners are encouraged to continue to embrace stewardship as a way of life. How will parish targets be set? Each parish target will be set at 1.35 times the average ordinary income from the years 2014-2016. How will my parish benefit from the campaign? Each parish will receive 70% of the funds collected up to Its goal from parishioners to be allocated to its own local cause. Parishes that exceed their target will receive 80% of those funds collected above their target. Funds collected will be dispersed every six months to both a parish’s deposit and loan fund and diocesan case components. Genuine stewardship encourages gifts of equal sacrifice, but not gifts of an equal dollar amount. Ultimately, your thoughtful and prayerful decision will be most appropriate and most appreciated. How long will the pledge redemption period last? Gifts are encouraged to be pledged over a three-to five-year period. Are gifts to the campaign tax deductible? Yes. Pledge payments are tax deductible to the fullest extent of the law. Are donors able to pay pledges using a credit card, debit card, or through automatic withdrawal from a checking or savings account? Yes. A donor may fulfill a pledge using a credit card, debit card, or automatic withdrawal from a checking or savings account. Donors simply provide their account information and their authorization on their personalized pledge card. Why are donors asked to complete a pledge card? Pledge cards aid in appropriately recording and acknowledging commitments, and in providing donors with a reminder of subsequent payments according to the schedule they request. Donors are asked to sign the pledge card, indicating that they have authorized the terms of the indicated on the card. A pledge card is not a legally binding document. Can donors make gifts of stock or other non-cash gifts? The campaign accepts gifts of stock and other non-liquid assets, including real estate. Donors wishing to make a gift of stock should follow the stock transfer instructions included in each solicitation packet. Donors wishing to make non-cash gifts should speak with their pastor/pastoral administrator or contact the Diocese of Camden regarding our gift acceptance policy. 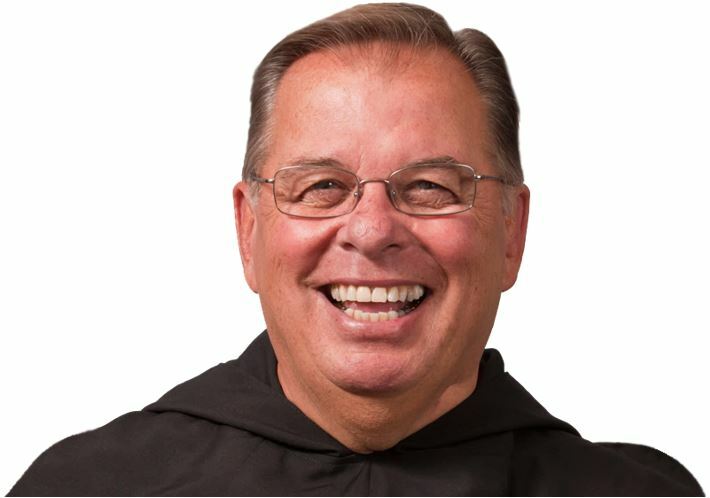 Donors who are considering a gift from a donor advised fund, or those considering an estate gift, should contact Jim Lanahan, Director of Development at the Diocese of Camden, by calling 856.583.6125.
Who should donors make checks payable to? All contributions should be made payable to Catholic Strong. How are the campaign expenses currently being paid? The costs of the campaign are being paid from the diocesan share of the funds collected. Click here to view a PDF of what the Diocese of Camden plan. Body and Soul Ministry will have our first meeting on Thursday, April 27th at 7:00 PM in OLPH parish office. We will explore tips and tools for wellness of the body, mind and spirit which can lead to greater health and happiness in our lives that will positively affect our families and community. For further information please contact Ginnie at 335-4602. SPACE IS LIMITED FOR MAKER FUN FACTORY VACATION BIBLE SCHOOL 2017! E-mail Stacey King at srhssbense@gmail.com as soon as possible to reserve your child’s spot before May 1st! Include the name/s of the child, current grade, and a parent’s name and phone number. VBS will run from 1:00-4:00 pm, July 31st – August 4th. Detailed information and registration will be e-mailed out on May 1st. We’re looking forward to a week of faith-filled fun! Hope to see you there! RELIGIOUS EDUCATION SIGN UP – Religious Education Re-Registration and New Registration process has begun for our upcoming year 2017-2018. A discount of $10 will be given for early registration if completed by May 16th. Registration acceptance deadlines are June 1st for the Summer Intensive and August 16th for the Sunday and Monthly program. Please visit our website for forms, or call our office at (609) 652-0008, Ext. 207 or 208 for further details or questions. CHRISTMAS HANDBELL CONCERT – Mark your calendars – Our Lady Of Perpetual Help Parish Christmas Concert, Saturday December 9, 2017, Assumption Church, featuring the Wilmington Handbell Ensemble. This Ensemble has performed at various venues including Longwood Gardens, the Delaware Art Museum and with the Newark Symphony. This will be a great family event for the Christmas season. More information will follow. Mission with Fr. Sullivan, O.S.A. October 23-26 – Assumption Church – A Parish Retreat: A Time of Grace – A 4-part retreat focusing on the love of Jesus and a call to the church. In accordance with the themes of service and ministry in the Gospels, we are called as Catholics to fulfill the promises made at Baptism and Confirmation through service to our community, as a sign of our discipleship. At Our Lady of Perpetual Help Parish we have many lay ministries to serve our community. These ministries have been organized into separate categories, serving under the leadership of Pastor and Parochial Vicar along with the Pastoral Council and the Finance Council. Interested in serving, but not sure where your talents fit? Mission Statement: The Pastoral Council is an envisioning and planning body. In collaboration with the Pastor, the Council seeks to discern what God is calling the parish community to be and helps determine how the Parish can make progress toward fulfilling its specific mission. Meetings are held on the last Monday of the month at 6:30pm. Mission Statement: The Finance Committee oversees the parish’s finances and advises the pastor regarding the financial condition, needs, and oversees fund raising efforts. Members are directly appointed by the pastor.